Today in Masonic History - Mason or not? Today in Masonic History we present Mason or not? In the course of writing the articles for this site we have come upon some interesting tid bits when it comes to researching the individuals we write about. The first and most important thing to realize is that no one source is most accurate. You have to sift through a variety of information before you find what appears to be the truth about the individual being researched. I have also come to realize there are certain classifications for individuals who are claimed to be Freemasons. I have broken this down into three categories for the purpose of this article, actual Freemasons, alleged Freemasons (positive) and alleged Freemasons (negative). The actual Freemasons are fairly self explanatory. These are individuals who are listed as members of a lodge or lodges and have a very real tie to the fraternity. 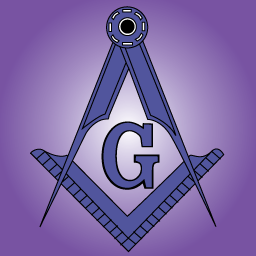 Alleged Freemasons (positive) are individuals who are claimed as Freemasons, generally by Freemasons. They are people of some sort of fame around the world and of good character that we as Freemasons want to believe that that person was a Freemason. A perfect example is Johannes Brahms, he is listed in many publications as a Freemasons. Depending on how deep you dig you can even find places where his music has been pulled apart to justify the argument. Unfortunately it is unlikely that Brahms was a Freemasons. He lived much of his life in Austria where Freemasonry was outlawed. Regardless of the facts, it makes Freemasons feel good to think that we have such interesting membership. Another example is the claim about the signers of the Declaration of Independence or the early United States Presidents. Often the claim is sometimes that "all" were Freemasons, when in fact for both groupings of people the number is in the teens. In fact one of our early Presidents, John Quincy Adams, was an anti-mason and played a part in the Morgan Affair and in the Anti-Masonic Party. The last category, Alleged Freemasons (negative), is a bit more sinister. There are many individuals on various sites and in books who are claimed to be a Freemason as an attempt to discredit the fraternity or to discredit the individual. The placement of individuals into the two sub-categories has everything to do with the deeds of the individual. Often it is claimed that someone is a Freemasons because of horrible acts that they have preformed. Jack the Ripper is a good example of this classification. It is unclear who Jack the Ripper really was, that has not stopped conspiracy theorists from writing the fraternity into the stories of the Ripper. There was even a movie made starring Johnny Depp called From Hell in it the Freemasons are at the center of the Ripper murders and cover up (an excellent movie by the way, a good lodge movie night, no kids allowed). The other category generally has a political motivation. The idea of exposing opponents as Freemasons, has been a long tradition. In the more modern era it plays into the "One World Order" claims. If a politician is pinned as a Freemason in some countries it becomes easier to paint the person as up to no good, especially in the minds of those who believe that Freemasons are out to rule the world. For the record, we are not, not that a statement like that will mean much. So how do we separate the wheat from chaff, the Master Mason from the Clandestine Mason. It can be tough, here are some tips that I generally use when verifying whether a man was a mason. First, if they are someone of significance like Buzz Aldrin (he is easy to verify, I use him just as example), often there will be other articles about the person in prominent Masonic publications, giving you his home lodge. From there you can check the website for his home lodge, if it exists. Most lodges will happily show off their famous brethren. If it is someone less famous, it may take some more digging around in Online content. Many Grand Lodge proceedings are available in digital form through Google books. Second, you can go to the Grand Lodge that you believe the person probably belonged to. This can be hit or miss though, not about the quality of the information, about whether you will get a response. Some Grand Lodges do not give the information out, no matter how long deceased the brother may be, most of them will tell you that if they have that policy. Some do not respond at all or will ask what is the purpose of your inquiry and what you will do with the information. For the most part you will get some level of response from a Grand Lodge. I have found that you get the best luck with European Grand Lodges when you request information. No matter what, information that is out there can be faked or distorted so it is always best to find multiple sources that verify the persons membership in the fraternity. If it doesn't smell right, it probably isn't right.